My new love affair with early Stephen King begins, dear friends. I downloaded a version of 'Salem's Lot onto my Nook last week, and although it was long, never once did I wish the story would end. Not even in the scarier spots. In traditional Stephen King fashion, a small town becomes a central character in a story of growing isolation and darkness, with a sinister presence becoming more malevolent and evil than town residents could ever imagine. It's this that becomes the springboard for 'Salem's Lot, a small town in Maine, known formally as Jerusalem's Lot, and where Ben Mears returns to his boyhood home to conquer his old nightmare of one particular house. The Marsten house, so named because of a murder/suicide that ocurred in the 1930s, hasn't been inhabited for decades until Straker and Barlow arrive one day to open an antique shop. While Straker is an odd man, tall and skinny with long fingers and white bald head, Barlow's absence is explained away with an antique buying trip in New York. Ben Mears' return to 'Salem's Lot is simply to pursue his demons and exorcise a terrifying childhood event from his memory of the Marsten House. He's a young writer with a few small novels published, and his hope is to write away the awful moment he can never seem to rid his nightmares of. He certainly didn't anticipate what he was returning to, since after all, the world of evil is never really gone, only waiting for another chance to rise. I sort of think it trembles in a half-sleep. And while the town begins to feel the breathing underbelly of terror, beginning with the disappearance of Ralphie Glick and the death of his brother, Danny, a cast of characters flesh out the novel that at its core include the newly returned Ben; Matt Burke, a soon-to-retire high school teacher; Jimmy Cody, the town doctor; Father Callahan, the Catholic priest struggling with his faith and the bottle; and Mark, the twelve-year-old boy whose combination of bookish intelligence and street smarts leads him to beat the bully on the blacktop at recess. The realization of what wakes up only at night in 'Salem's Lot bands this core team to roust out the evil to try to save the town from it, and sometimes, from themselves. My childhood started in the early '70s but I was a product of the '80s so imagine my thoughts of the previous decade: The early 1970s America sees the coming end of the Vietnam conflict, the Manson murders, and is just now taking seriously that doors really do need to be locked. It seems to be a world primed for the acceptance of true horror in movies and books, not just gory slasher flicks. Stephen King, in his newly found fame with his only ever other published book to date at the time, Carrie, releases another horror story centered around a "what if." What if the villain of Bram Stoker's world came to modern day America? And with the help of his wife's suggestion of a vampire not arriving in a thriving metropolitan city, but rather in a sleepy little town in New England, Stephen King's imagination began to take over. And his vampire isn't charming Dracula, slowly sipping at a victim's veins, as he describes it in his Afterword; instead it is mindless and brutal, the stench announcing its presence far sooner than the literal image before you. While this is an expertly refined horror story, it's one that must also be remembered for King's incredible writing. This version includes an excellent Introduction and Afterword by King, along with the inclusion of deleted passages, which I enjoyed. The story itself is a long one, and on my Nook it reached almost 500 pages (screens? ), so I can imagine what actual printed pages might amount to but never once did I wish it would hurry along. Never once did I think towards the last fifty or so pages that "it's good but it feels like it's never going to end," as I can sometimes do with a chunkster of a book. There are newspaper clippings sprinkled at the beginning and at the end, along with diary entries and letters, but the meat of the story is its action and emotion with the core team and the rest of the townspeople. It's King's storytelling of the average and regular day of random residents that make this story tinge on the possibility of reality. Not only can he evoke the spine-tingling shiver of the image of darkness, but he can also make my heart heavy when reading of certain characters' passings. I gripped the pages with sadness towards the end for a character I would probably call a friend had I known him in real life, and as he boarded a bus to leave the town never to come back, I thought long and hard how he may have fared. And yes, Stephen King draws on the fear that children will have. Often debated by experts that a child's fear is based on their imagination because they don't know any better yet, others hold firm to the belief that children have a fear of the things that go bump in the night because their innocence has not yet been tainted by the cynicism of adulthood. It's this naivete that makes them more aware of what could be real, more knowledgeable, of the very things that we as adults shrug off and explain away with what we think is more logical. (Nook, location 193) Maybe they were peering out at you with yellow reptilian eyes. And maybe one night watching would not be enough; maybe some night that splintered, crazily hung door would be thrown open, and what you saw standing there would drive you to lunacy at one look. And you couldn't explain that to your mother and father, who were creatures of the light. No more than you could explain to them how, at the age of three, the spare blanket at the foot of the crib turned into a collection of snakes that lay staring at you with flat and lidless eyes. No child ever conquers those fears, he thought. If a fear cannot be articulated, it can't be conquered. And the fears locked in small brains are much too large to pass through the orifice of the mouth. Sooner or later you found someone to walk past all the deserted meetinghouses you had to pass between grinning babyhood and grunting senility. Until tonight. Until tonight when you found out that none of the old fears had been staked - only tucked away in their tiny, child-sized coffins with a wild rose on top. (Nook, location 277) Before drifting away entirely, he found himself reflecting - not for the first time - on the peculiarity of adults. They took laxatives, liquor, or sleeping pills to drive away their terrors so that sleep would come, and their terrors were so tame and domestic: the job, the money, what the teacher will think if I can't get Jennie nicer clothes, does my wife still love me, who are my friends. They were pallid compared to the fears every child lies cheek and jowl with in his dark bed, with no one to confess to in hope of perfect understanding but another child. There is no group therapy or psychiatry or community social services for the child who must cope with the thing under the bed or in the cellar every night, the thing which leers and capers and threatens just beyond the point where vision will reach. The same lonely battle must be fought night after night and the only cure is the eventual ossification of the imaginary faculties, and this is called adulthood. (Nook, location 339) At three in the morning the blood runs slow and thick, and slumber is heavy. The soul either sleeps in blessed ignorance of such an hour or gazes about itself in utter despair. There is no middle ground. At three in the morning the gaudy paint is off that old whore, the world, and she has no nose and a glass eye. Gaiety becomes hollow and brittle, as in Poe's castle surrounded by the Red Death. Horror is destroyed by boredom. Love is a dream. 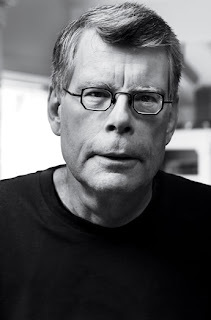 Stephen King is the author of more than fifty novels, including The Stand, The Dark Tower, It, The Shining, oh...what more can be written that one doesn't already know? So here you go, click here to visit this cool author's official website. One more thing, ladies and gents: He has a new book coming out November 8, 2011. Click here to pre-order 11/22/63 from IndieBound. The lead off for the book is: "The day Kennedy was shot...the day that changed the world...what if you could change it?" And this is my recent selection (my 8th choice?) for the RIP Challenge. You can read more RIP reviews from other participants by clicking here. So glad you went for this one next and enjoyed it. I thought there were lots of Dracula parallels, but in a good way. Sam (Tiny Library - Definitely a lot of Dracula parallels, and it's with King that I really enjoy his Introductions and Afterwords in which he explains his intent with the story. I don't normally read those, but am really glad I did with this one. Just read your review as well and loved your point on this being more an homage to Stoker's version! I've only read The Shining, and have almost picked up both, It and Carrie, at various points. I loved The Shining, so can't really figure out why I haven't read anything else by him. I must change that. Thanks for a fantastic review. It's been a long time since I've read this one. I gave up on King a few years back but then came back and have been pleasantly surprised by what I'd missed. Great pick for October. Have you read THE STAND? Oh my goodness. Such a book. Such a wonderful book. Read it the next year in college. Still is on my list of best books ever. anothercookiecrumbles - It is definitely one I've wanted to read and now it looks like I'm going to have to pick it up. The Shining just has an excellent premise, doesn't it? I'll need to read that one as well! Amy - It certainly set the tone for October, that's for sure. Let me know if you get a chance to read this one, would love to compare notes! Kay - Too funny, I had the same feeling that if I just turned around quickly enough, I'd catch an image of someone scratching away at the window. Those thoughts came about in the middle of the night this week more than any other time. I haven't read The Stand but it is also one that when I read the overview for it this week, I knew that would be one I'd have to read soon. And now that I know you like it, I'm definitely going to have to move that one up on the list! Isn't it so great to 'discover' and old author like this? I spent my summers as a teen in the 80s devouring all his early books. I loved them! They were just so creepy and ghoulish in all the right ways. Somehow I dropped the ball and didn't keep up with his later work. But I did recently read his memoir 'On Writing' which was a really fun and interesting read. Wait... this was a true story?? And Carrie was his first book?? How did I not know that info, LOL! (Carrie is one of the few King books I've read, and that was back in high school). This sounds really good. I'm thinking if I am ever in the mood to explore one of his books again I'll pick this one up! Peppermint Ph.D. - If you read it, let me know! I think I've narrowed my next King choices to be Misery, Needful Things, and The Stand. Looking forward to it! Trish - I wish, wish I had read something else of King's during the '80s/'90s other than that one short story that I didn't like. I never should have let that thirty page or so story define my perspective of him, but I was young and now I'm enjoying. But, it would have been much more exciting to read this when I was younger and when my mind was even more accepting to the "possibilities." I would have been even more creeped out. I'll be picking up On Writing soon, I'm sure. I really enjoy his introductions and afterwords. Jenny - Lol, not a true story, but it certainly would lend itself as though it were with all those fun newspaper clippings huh? :) What an even spookier story! If you get a chance to read it, let me know your thoughts! It's been 25 years since my King obsession, but I loved Salem's Lot... it scared me to death! Your post almost makes me want to revisit, but I don't do much horror these days. I can totally relate to your feelings of slightly wanting a chunkster to end and having a feeling of things being too long, as it is happening more and more frequently with me at this point. It sounds as if this book was the exception though, and I loved your enthusiasm for this one. Though a few readers have recently gotten on the King bandwagon, I think this review has finally pushed me to give this one a try. 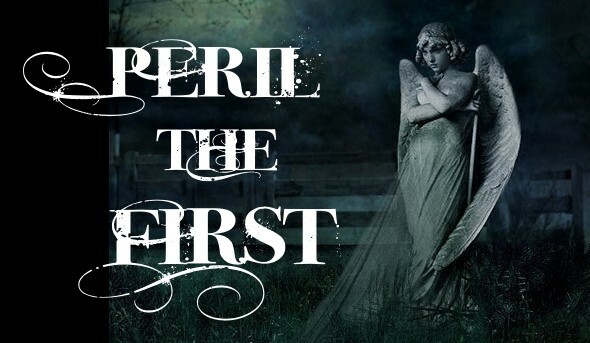 It sounds like an amazingly creepy book, and one that would be perfect for Halloween. Fantastic review, by the way. Very elegant. Thanks! I loved this book and I'm so glad that you did, too! I hope you continue reading his work, he's got so many good ones out there! This was my first ever SK book too - in fact, it was the first adult book I ever bought myself (when I was 15) so I love it also for sentimental reasons :-) I'm slowly working my way through all of his books, I'm about two thirds of the way through, and very excited for his new one. I am a BIG Stephen King fan but I have not yet read this one. You made me excited and I can't wait to read it! :) My goal: Read all of his novels and short story collections!